I used to religiously use a brush to put my foundation on with, but I lost it, and have been using my fingers ever since. This brush caught my eye when I was in the supermarket, and was only £7, so I decided to give it a go. It's a great brush - perfect size, and so far no shedding of hairs whatsoever. It leaves a smooth, non-streaky finish on the skin, leaving my skin much more flawless looking that when I apply the foundation with my fingers. I also find that I use much less foundation. The brush is easy to clean, just using facial cleanser. 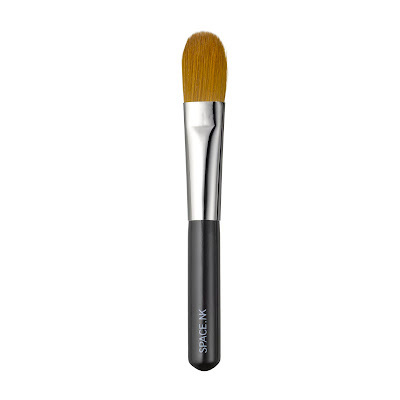 It's not the softest brush I've ever used, but the finish it gives is great. 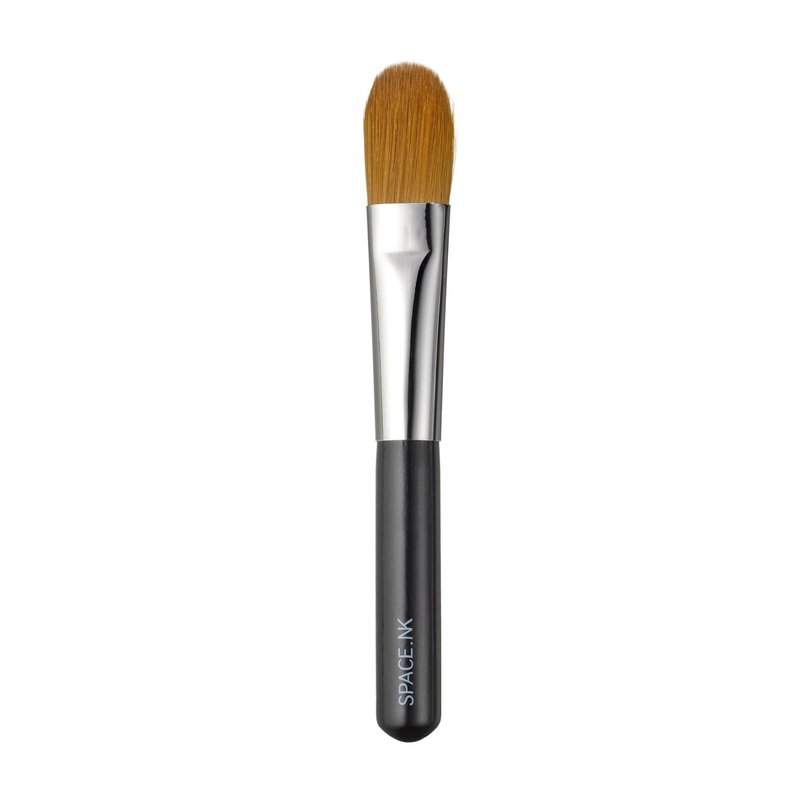 It's made from synthetic bristles, which is exactly what you want when applying a cream-based product - save your natural hair brushes for power-based make-up. 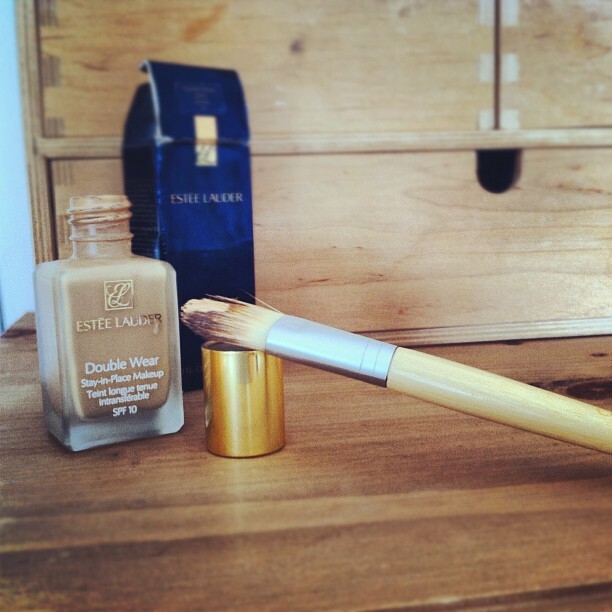 I used this brush with my Estee Lauder Double Wear foundation, which suited it well, but you may find that different foundations give different results. 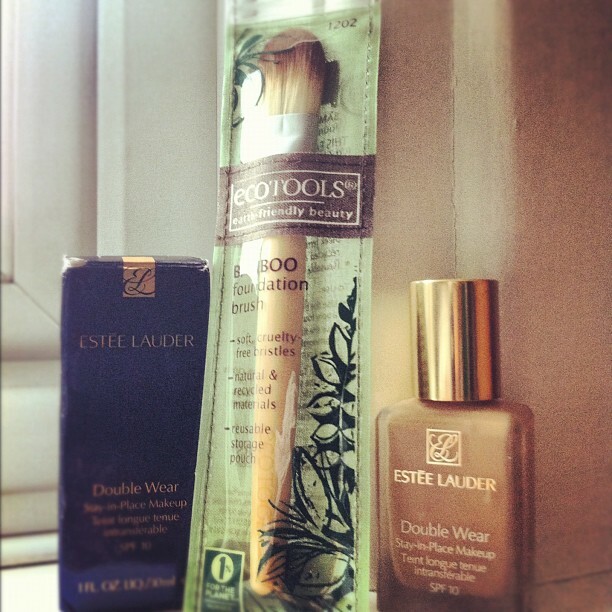 Here are some other brushes to try if your foundation doesn't get on with this brush. I've used both and can recommend them both highly. And the best bit? No more foundation all over my hands, which means less make-up all over the hand towels. Result. *Update: a couple of months on from first using the Bamboo foundation brush, it started to moult... and didn't stop... a load of rubbish. So I bought the Space NK one, which, a long time on, is still going strong. This is a situation where you definitely get what you pay for. 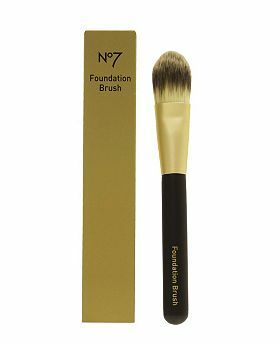 I agree, using a brush gives a much smoother, softer finish and helps even out little blemishes and lines without wasting expensive foundation. Thanks for the great blogs - really enjoying them.